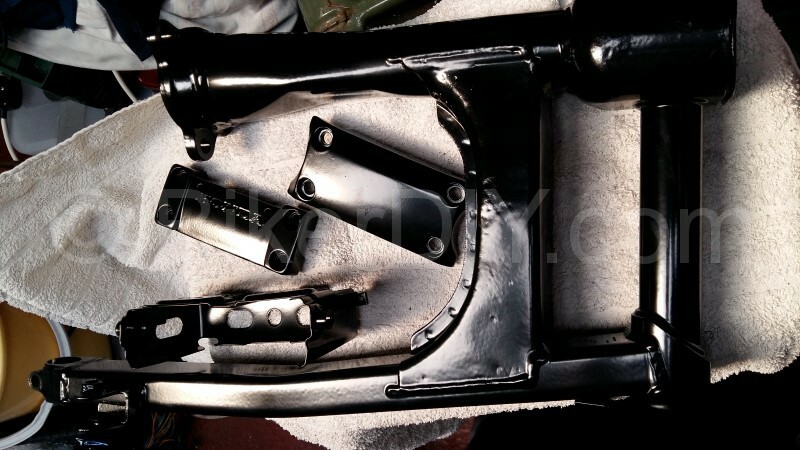 Just in case you had forgotten from this post, the swingarm for the Shadow had not done well in the initial coating process. 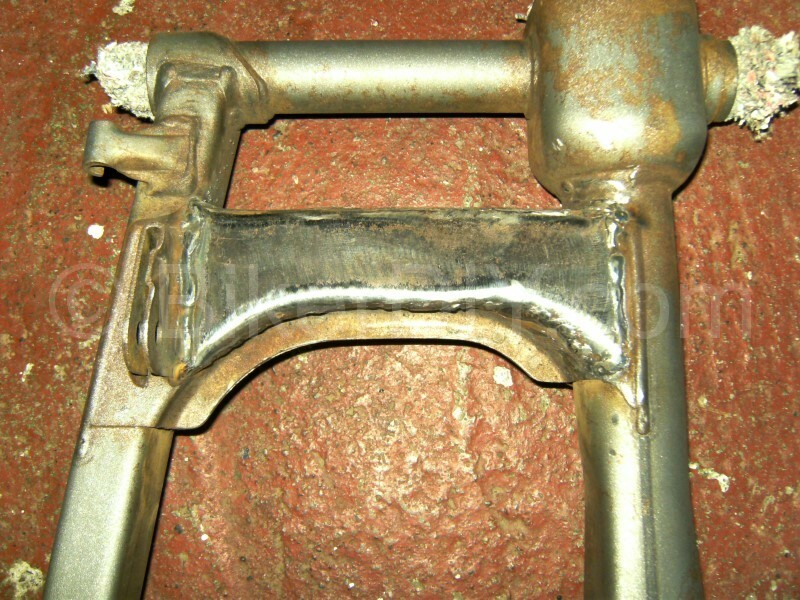 In fact it had shown how little metal was left in the bottom of the cross member when it was subjected to a shot blast in preparation for powder coating. as a result I had taken it back from the boys as I had to see to repairs before this could go on the bike. It’s maybe not as nicely finished as I would like but as it’s the underneath of the swingarm it’s not in normal view and it’s mechanically sound so considerably better than what was left there before. So I gathered up what other bits I had missed in the first powdercoat run and brought them to John in Athy. And John 2 days later gave me back these. 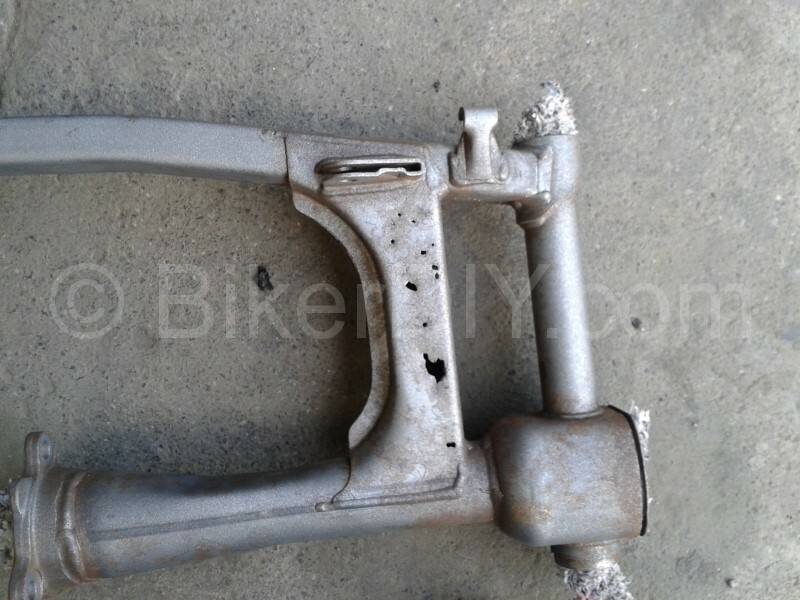 As you can see apart from the swingarm (which I knew about) I also included the front fork brace replacement (which I also knew about see backstory) and the handle bar clamp and tool case holder which I had completely missed the first time round. Now I have all the bits to put the Shadow back on it’s wheels at last.